No matter what your age, for a woman, losing hair can lead to a stressful and traumatic time. And for many women, it is something they don’t discuss, preferring to hide it away by using headscarves or wigs etc. For men, hair loss is accepted. Not all men suffer from it, but a man with a receding hairline is not as odds with what society expects to see. For women, loss of hair has been hidden. We assume that for a woman to lose her hair is unusual and rare. But women with hair thinning problems, or a receding hairline is not as rare as you may think. It is just that it has remained a hidden problem. Just like men, women can be at the mercy of genetics when it comes to hair loss. This may be because of hormonal balances and imbalance, with hair loss being the result of testosterone turning into dihydrotestosterone (DHT). Stress increases levels of testosterone, which converts to DHT – which, in turn, interrupts the hair growth cycle. Also, stress and trauma can lead to constricted blood supplies to the capillaries causing a lack of oxygen and nutrient intake, as well as poor vitamin absorption. Poor nutrition, sudden and rapid weight loss and an increase in consumption of animal fats, along with deficiencies in biotin, iron, protein and zinc decreases the vital levels needed for hair growth. There are many medical issues that carry side effects, one of which is hair loss. Thyroid disease is just one of them. Also on the list are myotonic dystrophy, cancer and lupus. From birth control to steroids, there are various medications that can cause hair loss by interrupting the hair growth cycle. Pollutants carried in air and water can contribute to hair loss, as can exposure to chlorine, metals and minerals. When there is an effect on hormones and their balance within the body, hair loss can result. 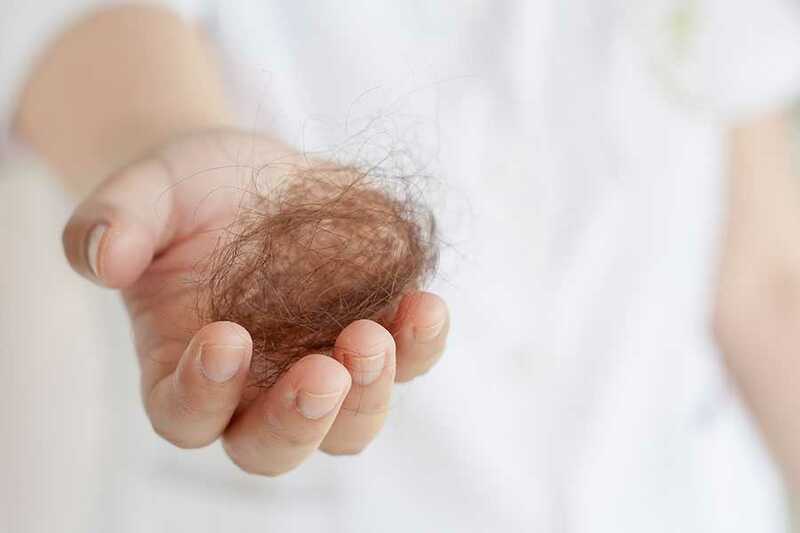 Vast changes in hormones during pregnancy can lead to temporary hair loss. Menopausal women can experience hair loss when their hormone levels shift too. Major life events can also cause stress, which, as described above can also lead to hair loss. Indeed, even as we age, follicles deteriorate and can cause hair loss. Perhaps hair loss in women was an ignored and hidden problem for so long because it was assumed that it was part and parcel of a changing and aging body. Hair loss is nothing to be ashamed off and is treatable in many ways. Here at the Wimpole Clinic, we have vast experience in hair loss treatments, including FUE and FUT transplants, and are always willing to talk over options with patients to find the best course of treatment for their hair loss issues, whatever gender you may be. Is a Close-Cropped Buzz-cut after Hair Transplant Possible?